LONDON - Carat is markedly more optimistic in its latest global adspend forecast for 2010, raising its prediction for the UK to 2.9% growth from the 1.4% it forecast in October. The Aegis-owned agency expects a rise in global adspend of 2.9%, up from its previous prediction of 1%. UK advertising expenditure is forecast to increase 4.2% in 2011. All major markets are expected to stabilise including the US at 0.2%, up from -2.6% in Carat’s previous forecast. China is expected to rebound strongly with a rise of 16.1% along with Indonesia, up 15.8%, Brazil up 11.6% and Turkey, up 13.5%. However, Japan is expected to fall 3.1%, along with Germany (-2.6%) and Spain (-2%). All media are expected to return to growth in 2010, apart from newspapers and magazines. The TV market, which fell 4.8% last year, will see the highest share of the spend at 45.2%, with global growth of 6% in 2010. Its growth is predicted to continue in 2011 at 6.1%. Newspapers will have the second highest share of spend in 2010 at 20.3%, according to Carat, despite a predicted ad revenue fall of 2.9%. The decline is expected to slow in 2011 at -0.7%. Online sees the most growth at 10.1% in 2010 with a rise of 9.1% forecast for next year. Magazines, which were the worst hit last year with a fall of 20.2%, will see a drop of 3.9% in 2010 but a slight rise of 0.8% in 2011. Radio, which dropped 10.6% last year, is forecast to be up 2.3% this year and 0.9% next year. Cinema and outdoor are also expected to grow this year at 3.6% and 2.4% respectively. 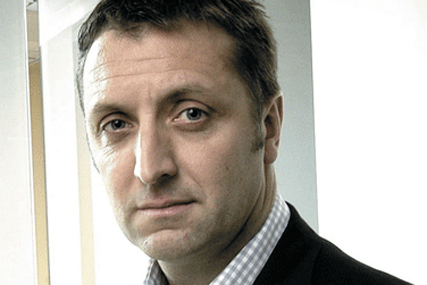 Jerry Buhlmann, chief executive of Aegis Media, said: "Looking at the UK, forecasts have improved with significant signs of recovery in the TV market in particular where trends in the first quarter look positive. While the year ahead remains challenging, theses are encouraging signs." Buhlmann said: "This early view of future global adspend shows the potential for modest recovery through this year and into 2011 in what looks like being an increasingly benign environment."